And rolled and curled your tinted hair. My mamaw, my mother’s mom, was a great lady. I have so many fun memories of times with her at her house or at our house or just in general. We’d laugh, stay up late, go riding around looking for rocks or cool things. We’d explore junk shops and watch soap operas. 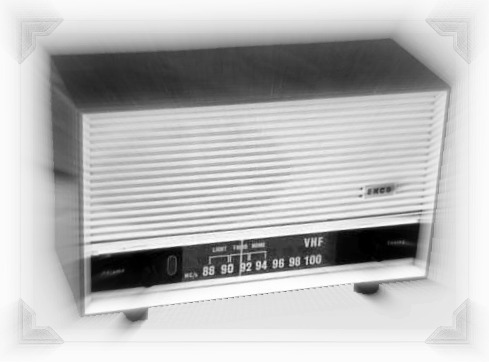 We’d listen to country music on the radio. Sometimes she’d play her records. It didn’t really matter what we did. I enjoyed it and cherish the memories. When my Papaw died she moved from Roswell, NM, back to Texas. She lived in a little house behind my uncle and aunt. 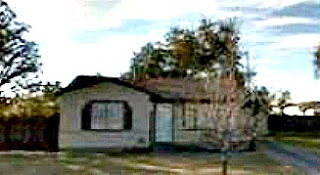 It was a comfortable home and I remember many good times there. The whole family would gather at Christmas and we’d eat, sampling all my aunt’s special dishes and great cooking. The cousins would gather and we’d play silly games or dream about marrying movie and rock stars; Bobby Sherman, Ricky Nelson and even Elvis. The grownups would congregate around the kitchen table after we’d eaten and play card games. We’d giggle, listening to the laughing and teasing going on when one of the uncles was caught cheating! There were only two bedrooms and one bathroom in that house. There was another bed back in the laundry room. We’d crowd in but it never seemed crowded. It was just a good time with family who loved each other. This little house was just 936 square feet and filled with love. My girl cousins and I would spend time with Mamaw in the summer, sometimes together and sometimes just one or another of us. She never played favorites. She loved us all. She’d go through the entire roll call…Nancy, Billie Kay, Susan, Judi, Carla…Jamye, but she’d get there. Sometimes she’d even throw in a couple of the boys names! Country music was a big part of our lives, at Mamaw’s house and at home as well. All the aunts and uncles loved it so all of us cousins grew up on the oldies sung by the likes of Ernest Tubb, Charley Pride, Bob Wills and Patsy Cline. I still know the words to many of those songs today. The radio was on in the background most of the time. 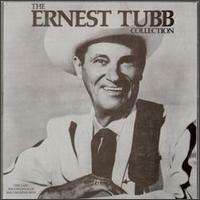 One of the country music greats Mamaw loved to hear. Like anyone, Mamaw loved a prize. She’d listen to the radio, especially during the contest times and try to win. It would be one of those where you had to be the whatever number caller. Sometimes we’d call for her, hoping to be the one. Mamaw liked most all songs but there was one in particular that she didn’t like at all. 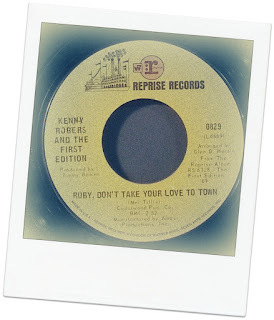 We weren’t sure why but she hated “Ruby Don’t Take Your Love To Town,” sung by Kenny Rogers. She either didn’t like the tune or the fact that they played it all the time, but she always sang the chorus. And she always called it that “damned ole Ruby” song. One time she got lucky! Mamaw had been trying for days and was finally the magic caller. All she had to do was come by the station and pick up her prize. My cousins, Nancy and Billie Kay were visiting and they loaded up and drove to the radio station. They arrived and she was so excited! Mamaw went in while they waited in the car. When she came back, she opened the door and slung the 45 single across the front seat. When they asked what was wrong she told them she had won that “damned ole Ruby” song! That damnned old Ruby song! Poor Mamaw! She was so disappointed. But it was really kind of funny that she’d get that song since she hated it so. Now, every time I hear I think of her. I still laugh at the memory. I don’t know what happened to that record but I kind of wish I had it. I’d put it in a frame and hang it up. 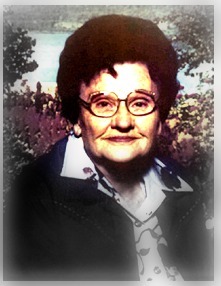 And if I had a bad day I’d take a look and smile at that “damned ole Ruby” song and remember Mamaw. The shadow on the wall tells me the sun is going down. I don’t win many things either. But when I do it makes me happy! The other day I won a prize from a blog. Fostermummy sent me a lovely package that included a cookbook, some kitchen magnets and a cute heart she’d made out of buttons. She stuck silk rose petals in the package which was a nice touch. It was fun! Exploring the new cookbook. Lot's of interesting things! See what others are reading here! I started another small shawl, out of another rayon boucle from my stash. The color was called bumblebee but it's blue and yellow instead of black. I’ve done a couple out of this type yarn before and love how they turn out. They are lacy enough to scrunch up as a scarf. Or as a regular shawl, it’s light but warm for an air-conditioned office. I think I can do at least one more before I get bored with this pattern. It makes a great take along project that doesn’t require paying a lot of attention. And I finished the pink colored small shawl I started last week. Or was it ruby colored? I even worked in the ends! Maybe I’ll call it the “damned ole Ruby” shawl! Small shawl, front. See other's great projects here. Back view, pink small shawl. Squishy damned ole Ruby shawl! She's leaving now 'cause I just heard the slamming of the door. The way I know I've heard it slam some 100 times before. And if I could move I'd get my gun and put her in the ground. Lovely story about your mamaw. I laughed at the record prize! I can imagine how annoyed she probably was :) It's great to have good memories of family such as those. And you won a prize too! I have another Mrs Beetons book here (it's super old) and some of the dishes would make your hair curl. Thank you! We still laugh about it! I'm finding I don't even know what some of the ingredients are that Mrs. Beeton used! Thanks for sharing your memories of Mamaw. I could just picture it all in my mind. The damned ole ruby shawl is lovely. I love your stories Jamye! And memories like that are a treasure!!! Thanks MK! And I love yours! Such a cute story about precious memories - it *would* be fun to have that record! I'm going to start looking in the thrift stores! OMG!! I love that damned old Ruby song, and I love your shawl, too!! Thanks Debi! The shawl was a really easy knit.